The Kendra is the perfect touch of statement for your upcoming affair. 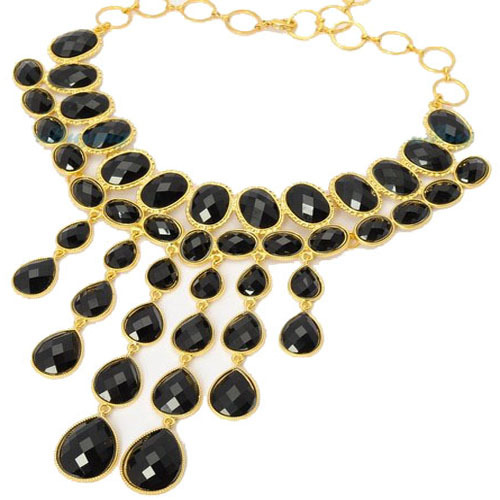 A chained collar necklace in plated gold, embellished and dripping in faceted black stones. Adorn your décolletage!